Hmmm...easy to spot: remade and original ones. unfortunately not everything cassa is spot on, some times you have to make do, there are a few different makers of the i badge, might be wise to shop around. i have used scoot graphics before when i have wanted stuff remade, and they have always been spot on, the lubematic decals look silver, not chrome type finish and the outside will need trimming down. 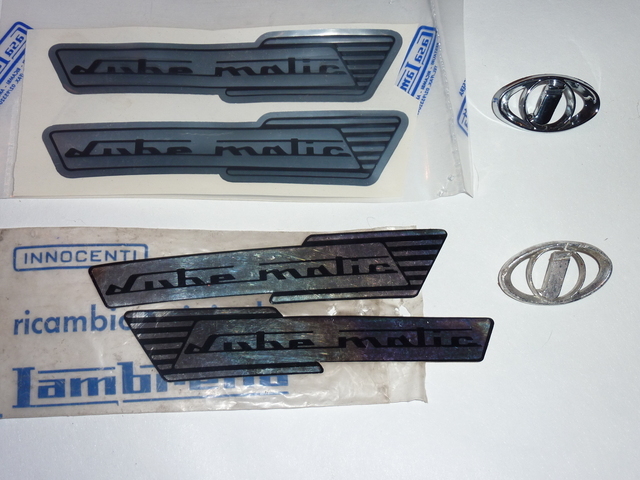 The Lubematic decals are really not bad if you cut the surrounding - but they're both right ones! Apard from the j badge I'm happy with the Casa parts and quite impressed how much is already available. However the seat cover I purchased at TuttoLambretta since the Casa one didn't feature the "dot" for the release knob. I'll post a picture later. just noticed the decal, both been right hand types, i'd have missed it if you had not have said. there is plenty of stuff been remade now which is good, as people are very reluctant to break machines up for spares now. i got a seat cover and foam this year, supposedly casa and that did not have the dot for the seat release catch. it was the poorest fitting seat and foam i had ever bought and went straight back. my other casa seat and foam had the dot and was a fantastic fit, i think either they changed suppliers, or there are several copies been passed on as cassa items. 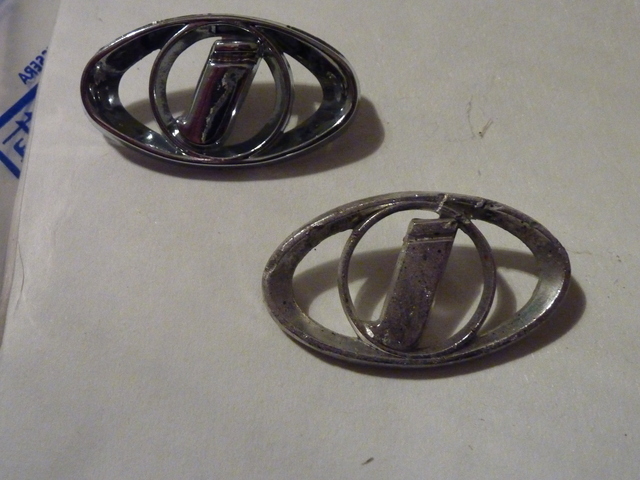 Talking of the badge then if anyone has a spare Innocenti badge as per the above then let me know (your price paid) as thats the only badge im missing from my original Vega as the other two are thankfully still attached. 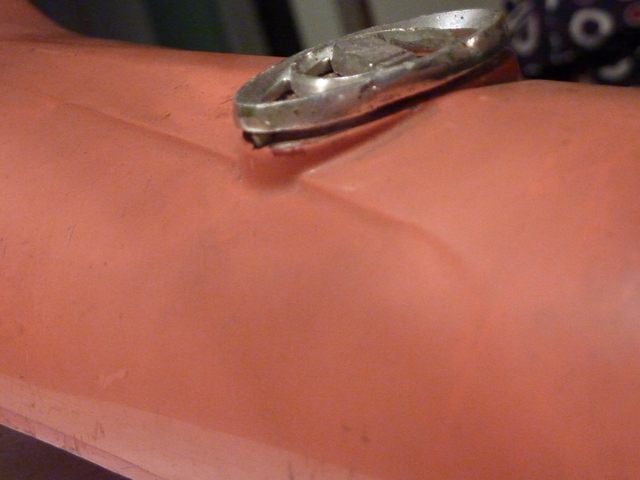 i think i might have one staffy, might need rechroming, genuine item, came from my gp200 horn casing. GP j-Badge will not fit Luna Series, since one is plain and the other is curved on the back (IMO, at least the pt/Nr are not the same). The remade plastic one fit both scoots (more or less...it is also quite offcentre on the GP horncast, lacking ~1mm on the left. With the alloy one it's OK so the horncast is drilled correctly). When seeing all these "same-same-but-different" parts nowadays we really don't have to wonder why Innocenti doesn't exist anymore! For the Luna-Line my favourite are the clutch plates: only difference to Li-Series is the diameter by 1mm - no reason at all, especially since it is a component supplied by an external manufacturer, so no sense to purchase a different one instead of increasing the quantity of the standard item. Great times those days for the engineers! use j range plates mate, also many other parts that will fit the vega. when they could have an order of 10000pcs of only one Li-type. Technically spoken there was no reason to reduce the diameter by 1mm. So you just end up in more parts, more spare parts at concessionaries, lower purchasing quantities. That was all I just wanted to show. Unfortunately we will never know. i think they would have got round to fitting lubematic to gp range eventually IF they had carried on, and i'm sure somewhere there will be a protatype. it was probably only a matter of time till electronic ignition became the norm on all machines. talking to paul at scooter restorations today and he said when he was in india that he saw a electronic ducati flywheel for the j range / luna, so perhaps they were already undertaking these things when they ceased business. I agree, there had to be things put into production towards the end that were never catalogued or launched due to being sold off so who knows whats still out there tucked away.